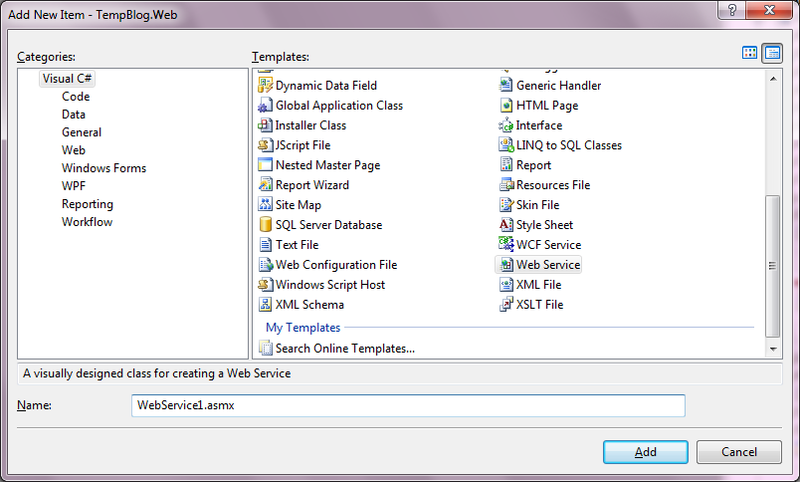 in your Project... right click on Project in Solution Explorer. 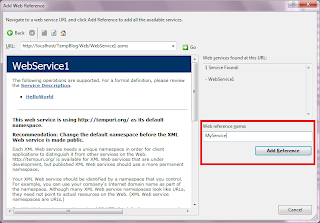 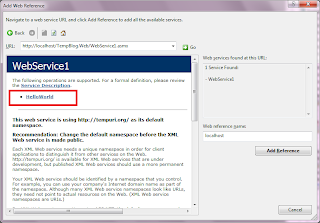 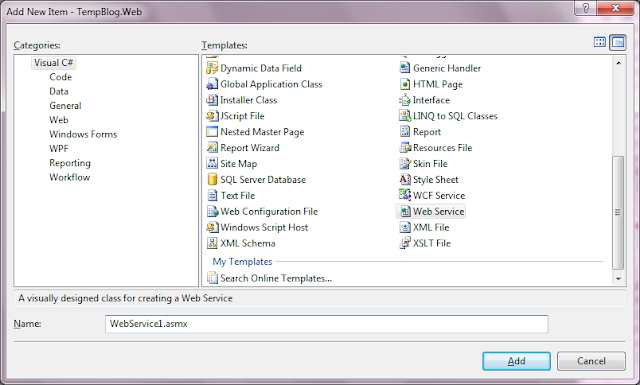 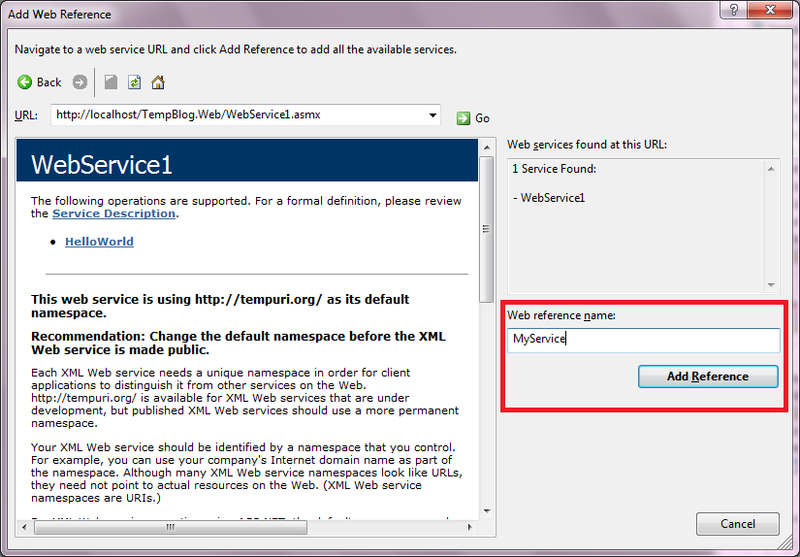 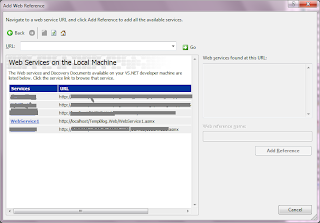 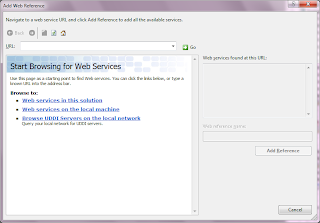 Click on Add new Item and Select "Web Service"
select "Web services on the local machine "
now you will get a list of your methods of the web Service..
At right side, in Web Reference Name if wish change the name , that name will be the Service name..
now click on "Add Reference"
Now whenever you update the Source of Service class... before building the source one update the Service Reference by right click on Service in Web reference Folder in solution explorer.. 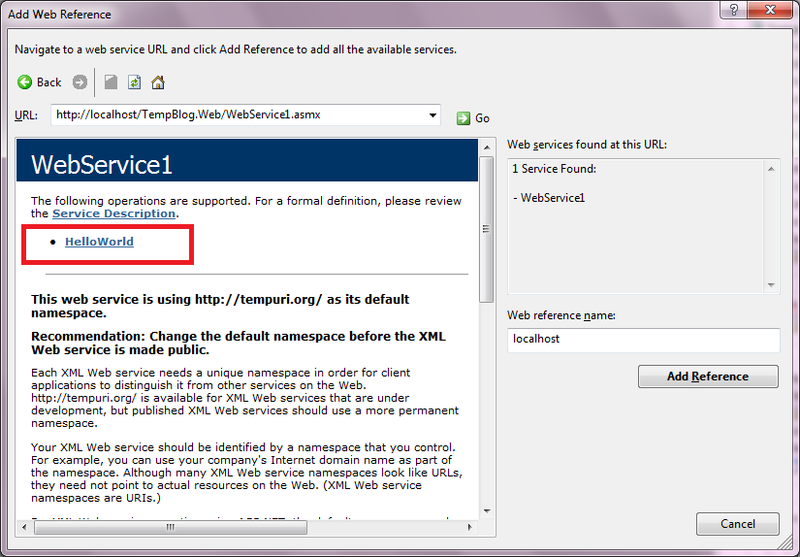 Remove Url Value from Settings. 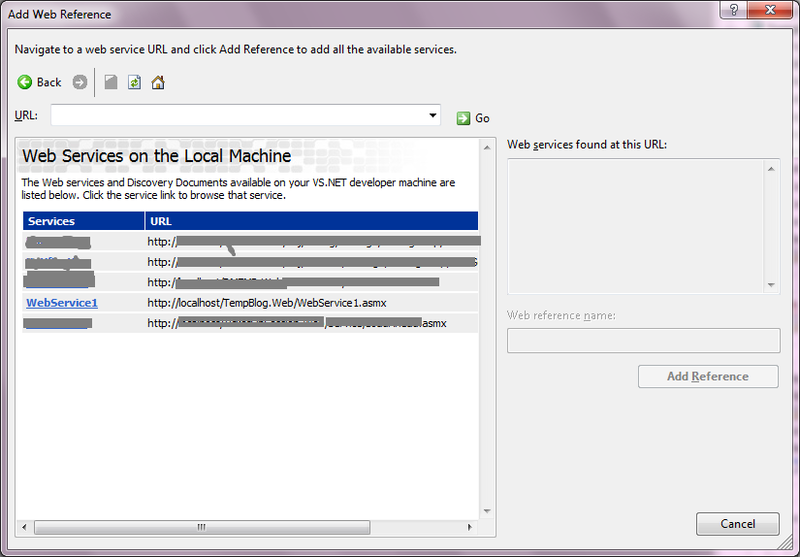 It is hosted on localhost port 80, right? 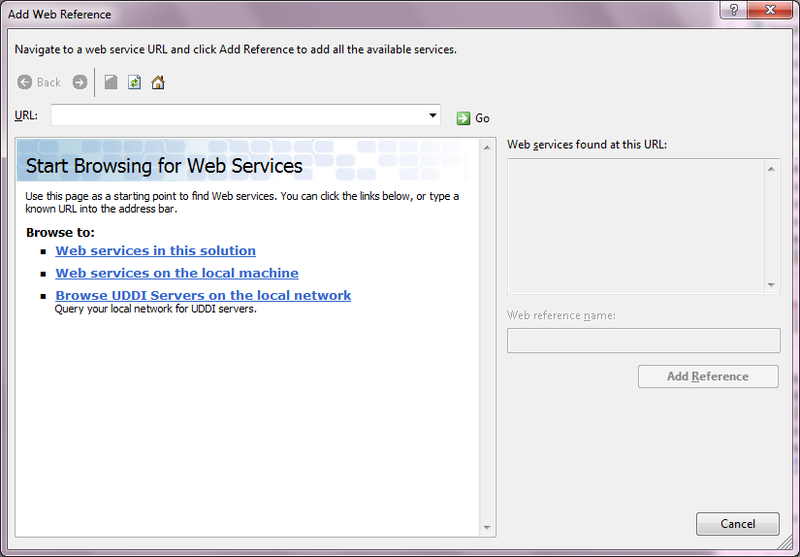 Still it is not IIS?